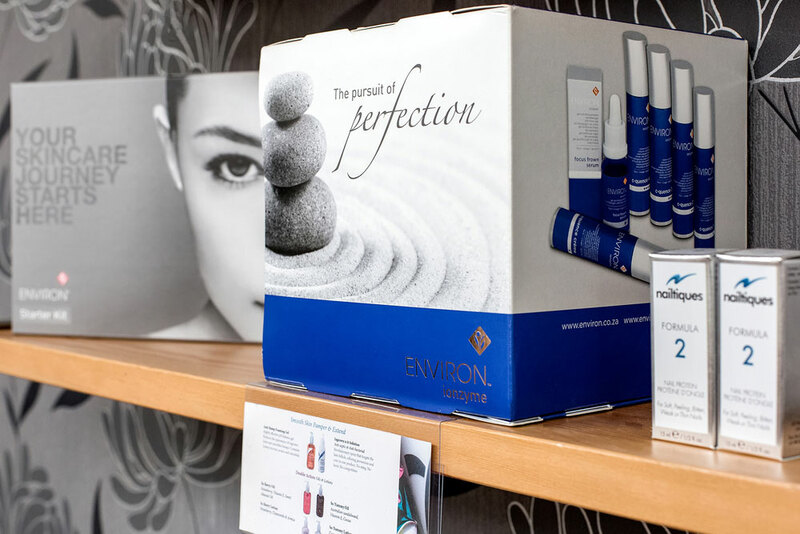 ENVIRON® Active Vitamin Facials. Environ facials have been created by Dr Fernandes, one of the world's leading cosmetic surgeons. These facials have been specifically formulated to provide visible results against numerous skin conditions and the ageing process, such as to repair damaged skin, increase collagen and elastin production. 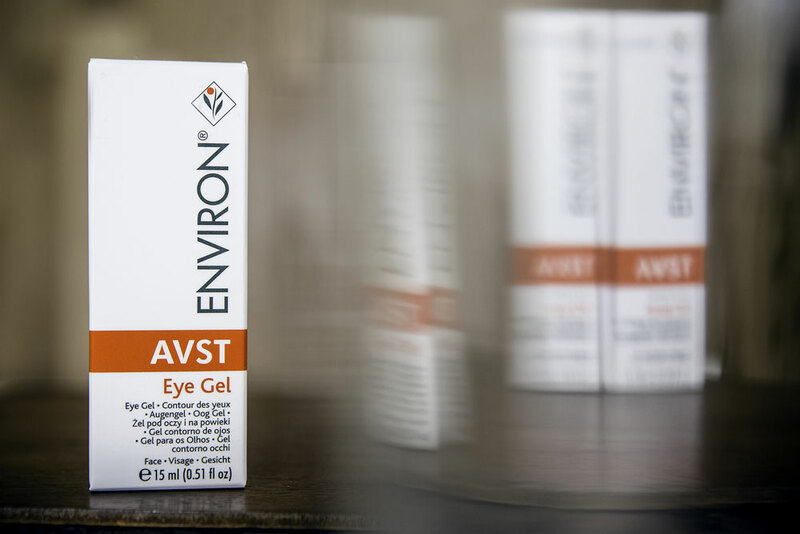 Environ is formulated from high doses of absorbable fresh vitamin A and antioxidant vitamins C, E and beta caretone and is also based on a 'step-up' or graduated system of varying intensities of active ingredients and vitamins to ensure that the client's skin adapts gradually. This reduces pigmentations, fine lines, repairs and protects against photo-damage and pollution. 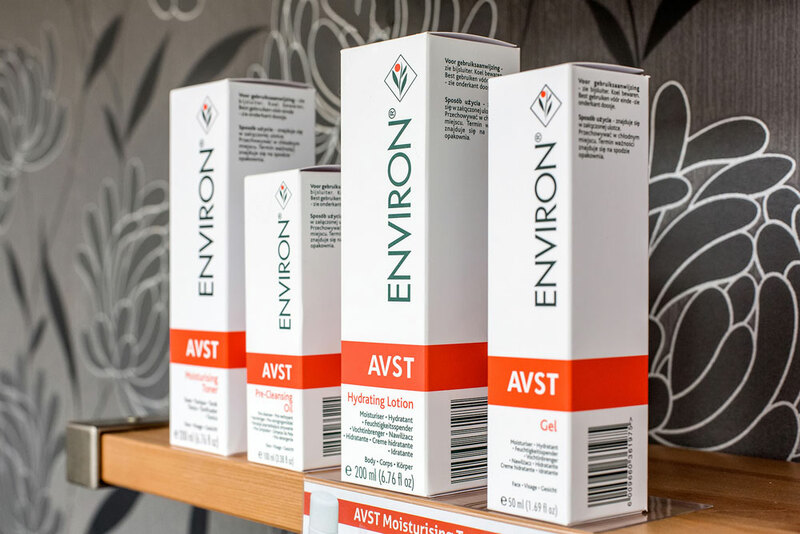 Environ skincare products will compliment your treatments and help you maintain a healthy, youthful beautiful skin for life. Advanced Active Vitamin Facials (using Environ Ionzyme Machine) Packed with nourishing, anti-ageing ingredients, the Advanced Active Vitamin Treatment will leave your skin looking radiant and dewy. The freshest, most active forms of Vitamins A and C and Anti-oxidants are driven deep into the lower layers of the skin using sound waves and small electrical pulses. The scientific approach stimulates Collagen to soften lines and improve skin's elasticity, whilst also increasing hydration. The Advanced Active Vitamin Treatment is suitable for all skin types and is particularly effective in correcting sun damage, pigmentation, premature ageing, dryness, uneven skin tone and scarring. Differences can be observed after just one session. Active Vitamin Facial 60min £50 Is a relaxing facial treatment using purely manual techniques to enhance the penetration of vitamins into the skin. (using Environ Ionzyme Machine) A treatment specifically designed for problematic skins using mild forms of lactic acid. Controls and removes the build up of dead cells on the surface of the skin, reducing inflammation while hydrating the skin. A relaxing facial that targets areas of concern. We would like to introduce to our clients Environs Collagen Stimulation Therapy. Which is a revolutionary treatment developed by plastic surgeon Dr Des Fernandes, which aids the stimulation of normal (not scar) collagen production in the skin. It harnesses the body’s natural healing powers to smoothen and tighten skin. The treatment causes microscopic breaks in the blood vessels immediately below the surface of the skin which results in the release of platelets and in turn the release of a series of growth factors which promote collagen and elastin production leading to amazing skin results!!! We hold regular Environ Skin Analysis Events, where skincare experts will use the Visia® Complexion Analysis machine to analyse your skin. This powerful imaging system looks at problem areas below the surface, such as sun damage, hyper-pigmentation, broken capillaries, wrinkles and blocked pores. 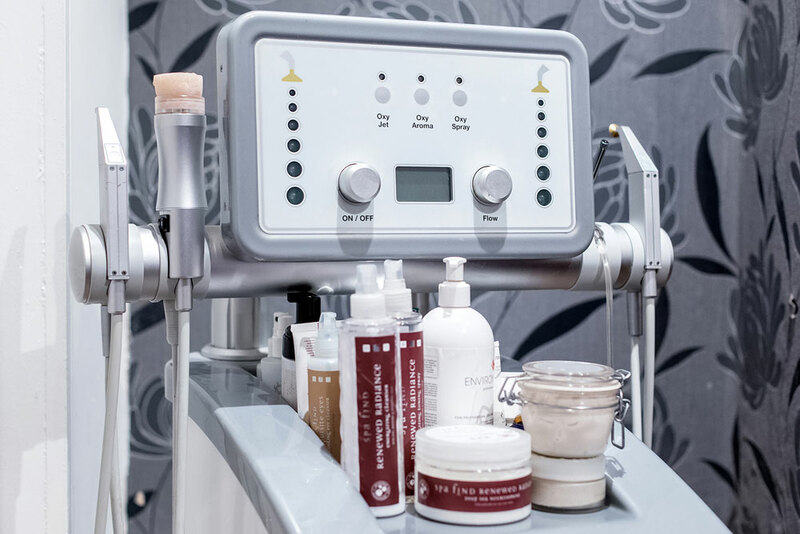 You will receive a 30 minute facial scan after which our therapists will assist you with in salon treatments and prescribed products that will be tailor-made to address specific skin concerns that have been highlighted in the scan. You can book a slot at an event in many ways, either by speaking to your therapist, popping in to the Salon, calling the Salon or emailing the Salon. OXYjet from Nora Bode. OXYjet from Nora Bode is the world’s most effective Oxygen System available. 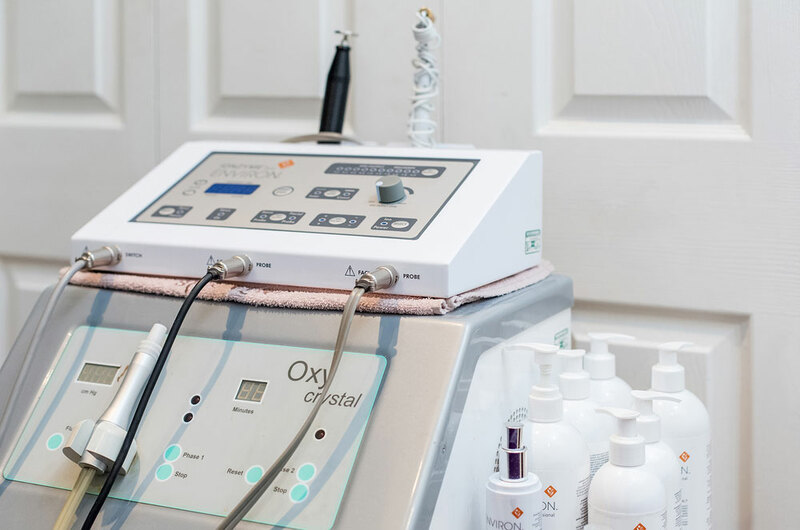 Known as the ‘Celebrity Facial Treatment’, OXYjet smoothes fine lines and wrinkles, especially under the delicate eye area and upper lip, softening the nasal folds by delivering pure oxygen and specialised ingredients to the deep layers of the skin. OXYGEN Star Facial 90mins £90. This luxurious 90 minute facial starts with the revolutionary OXYclear deep cleansing and blue light exfoliation. As effective as conventional crystal or chemical peels, but leaves the skin merely fresh and clear and ready to enjoy the sun. Next, you will lie back and enjoy the Oxygen facial that deeply penetrates natural cosmetics to plump up fine lines and control muscle movements to diminish facial wrinkles. Finally, the unique OXYtone is used. A revolutionary new form of non-surgical face list to smooth away your eye bags and promote youthful facial contours. OXYGEN Max Facial 60min £58. The OXY Max facial treatment is a skin rejuvenation treatment that dramatically diminishing age spots, acne and scaring, giving a clear, fresh look to the skin. Using the latest biotechnology and blue light OXYclear, the treatment is scientifically proven to eliminate imperfections like Pigmentation and Acne giving long lasting results. Microdermabrasion 30min £47. Pure oxygen is used to circulate the crystals over the skin, gently removing dead skin cells and other debris that clog pores and lead to dull complexions. OXYGEN Energiser Facial 60min £58. Rejuvenate your natural youthful looks with this energising facial. Natural active serums are applied in a stream of pure oxygen, waging the war against age, stress and lifestyle. This treatment includes complementary intensive attention to your eyes and lips and OXYclear deep cleansing, blue light exfoliation. BEAUTY-TOX Facials. Using the pulsed pressure of pure oxygen, BEAUTY-TOX is ‘shot’ into the deepest layers of the skin. Penetrating the muscle, it controls facial muscle contractions without completely diminishing facial expression. This toxin free equivalent to cosmetic injections reduces muscle contractions responsible for the formation of lines in the eye area, forehead and around the mouth. It amplifies the Collagen within the skin, filling lines and wrinkles giving a smoother complexion. Perfect Pout Lip Treatment 25min £24. Maxi-Lip, a natural peptide, is a patented ingredient which adds volume to the lips It will increase the Collagen production by up to 351% and increase the moisture content of the lips making them look and feel softer and plumper. This is the perfect treatment for those who want the ‘perfect pout’.